Image means a lot in this industry. The service might arrive and get to its destination on time without a hiccup, but if the operation does not physically look right and the team delivering it does not act in a professional manner, then passengers may not return. Drivers and vehicles are an advertisement for the business, facing potential customers every day. It is vital to ensure a good impression is given, so Chris Peat has looked into some of the companies out there that can help achieve this. For those who do not use buses and coaches, the only part of a PCV they see is the outside of it, so part of the battle in attracting them onboard is to make the vehicles look inviting. One of the simplest ways to promote a positive image is to keep the fleet as clean as possible. Wilcomatic provides a full range of washes designed to effectively and safely clean a full range of vehicles. It claims its rollover Magnum bus wash can thoroughly clean a single or double decker in less than two and a half minutes. It includes wheel washing and a mirror avoidance system. Its Jet Stream gantry vehicle wash uses high pressure oscillating water jets to clean awkwardly shaped vehicles easily. Other products include automatic container wash equipment, robustly engineered jet washes, wheel washers and under-body washes. Britannia is another well known name in the world of bus and coach washes. It is a brand of Smith Brothers & Webb, who enjoyed a record year in 2014 for sales of its automated washing systems for PCVs. Successes include providing bespoke washing systems for high profile public transport initiatives in the UK, including units for washing New Routemasters in London. The company claims it has had a ‘bumper start’ to 2015. Britannia has been designing and manufacturing its automated wash systems at Alcester since 1969. 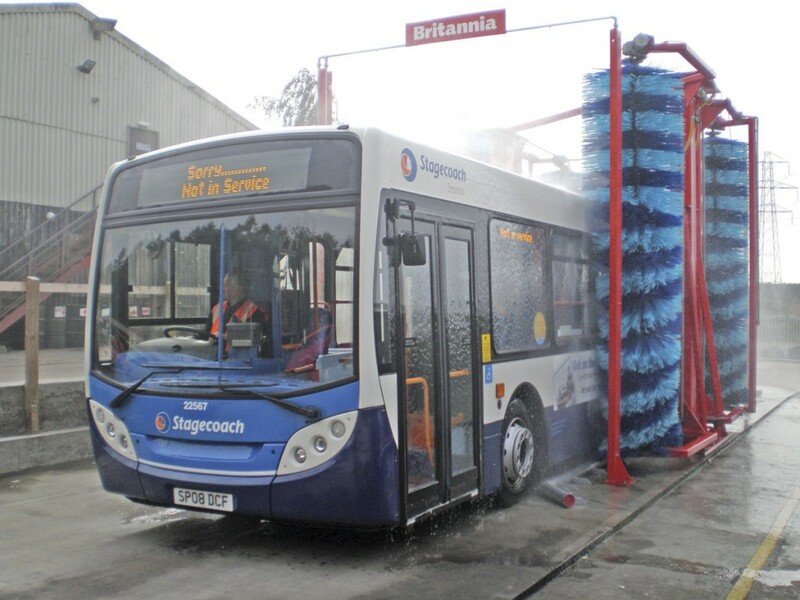 Each of its machines are designed to a customer’s specification and Britannia produces both drive-through and overhead gantry washing systems for buses, coaches and commercial vehicles, with a range of other options including under-chassis wash and water recycling systems. Karcher also provides bus and coach wash systems. The company offers solutions including manual pressure washers, mobile bus cleaners and complete gantry wash units. It has the TB line gantry wash system for cleaning larger vehicles and the mobile RBS 6000 system for indoor and outdoor use. 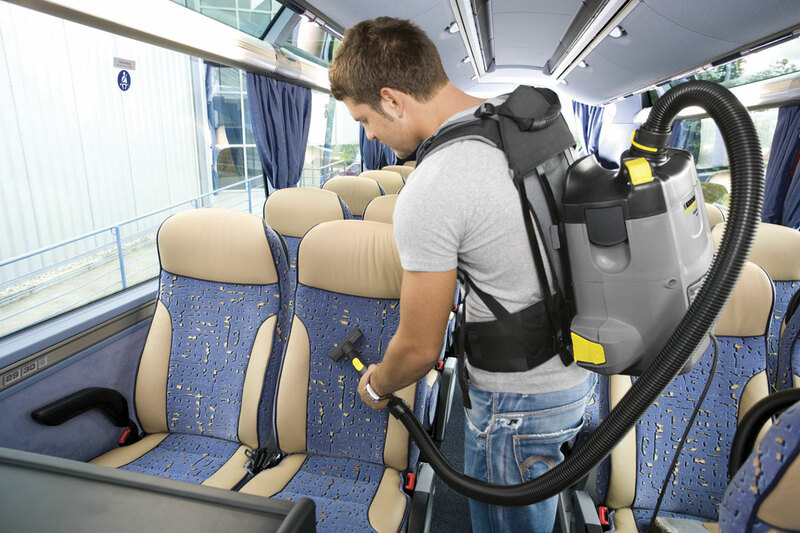 It also provides interior cleaning products, including spray extraction machines for valeting upholstery, as well as backpack and long hose vacuum cleaners. JTT Speedy Wash provides the Bitimec Single Brush Power-wash line of equipment. The products’ chassis and frames are constructed of stainless steel and they are self propelled as well as free of connecting cables or hoses. A further feature is bi-directional feather touch controls for washing difficult corners. According to their marketing material, they can wash a coach in an average of seven minutes. Making the outside of a vehicle eye catching can have a lot to do with the livery. Full Circle Enterprises can help here, with its capability to provide full paint scheme makeovers. The business has three paint ovens, allowing it to spray paint any size of vehicle. The company has expanded in latter years, with plenty of customers returning to keep it busy. It has done paint work for various operations, including Ellisons Travel. A team is dedicated to this side of the company’s business, who not only apply but design the graphics and livery as well. In addition to painting, it also has the skills and knowledge to carry out all bodywork repairs. For an even more efficient delivery of the latter service, it has a fabrication shop for producing any parts and panels that may not be readily available. S&G Coachworks are responsible for some of Redferns/Johnson Bros liveries, which are prime examples of a good looking fleet. It has a fully equipped 20m spray booth and specialises in all areas of vehicle paintwork, from light cosmetic work to full repaints. Headed by Mick Grayson, an area it specialises in is metallic and pearl paintwork. Now in its 35th year, Thornton Brothers can take care of all refinishing work on a bus or coach, from painting to interior refurbishment. It occupies a five acre site and has six commercial vehicle ovens for paint drying, as well as various equipment for all its activities. It offers prices to suit budgets. Lawton Services can also offer complete vehicle refinishing, from paintwork to new vehicle interiors. Meridian Coachworks certainly knows about keeping a vehicle looking great. It has all the experience, skills and equipment to carry out all paintwork and even has the ability to carry out hand painting. Applying liveries using paint is one option, but vinyl graphics can be used too. One of the advantages of these is they can be easily stripped for re-branding or re-applying livery when a change is required. Marden Commercials can not only apply vinyl coverings, it can also come up with schemes and ideas for them too, with its own in-house design team. As well as focusing on the bodywork, a nice touch is to update the wheel trims. Wheel trims are available from Parma Industries, providing stainless steel variants for Plaxton, BMC, Van-Hool, Alexander Dennis and others. Its range starts at 24.5inches, suitable for some older DAF coaches, the next size down is the industry standard 22.5inches, which would fit most models of coach (as well as many buses) including those of Iveco, MAN/Neoplan, Mercedes-Benz/Setra, Scania, Van Hool, VDL or Volvo. 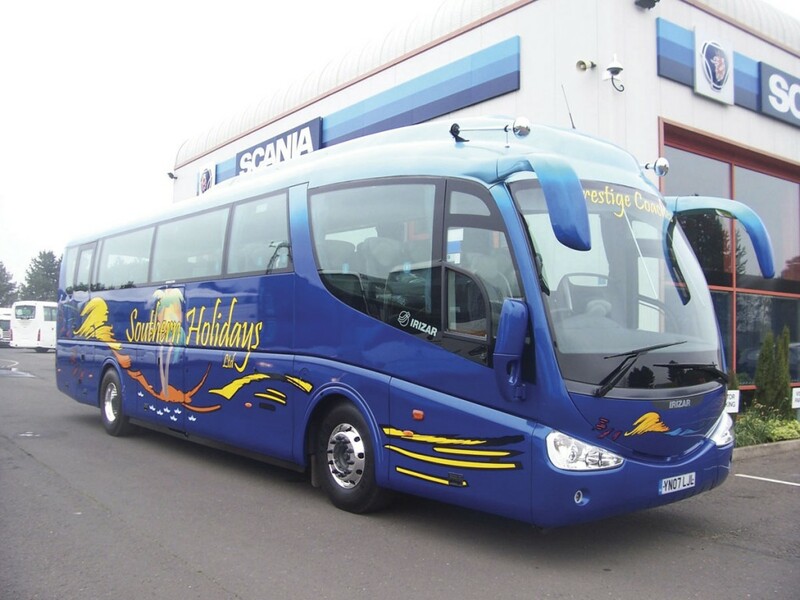 Most of its wheel trims for larger coaches are made from a marine grade polished stainless steel, which the company says provides a mirror finish often described as chromed effect. It is not just wheel trims that can add a nice finishing touch to vehicles, the entire wheel can be upgraded. Alcoa provides its DuraBright EVO finish wheels. One of the company’s recent new additions to its product portfolio is the 16inch DuraBright XBR for Mercedes-Benz Sprinter/VW Crafter minibuses. Uniform Express is in the process of rolling out a revitalised uniform for Reading Buses. The company worked closely with the operator’s marketing personnel to ensure the new clothing met requests received in staff feedback. The new uniform consists of a black polo shirt, cargo trousers and a choice of anorak or light weight jacket. The shirt is made from 100% polyester ‘wicking’ fabric, which is designed to draw moisture away from the body. Uniform Express supplies its own items; they are not another manufacturer’s brand. It has an online ordering portal, which is designed to provide a faster way of requesting more clothing when required. 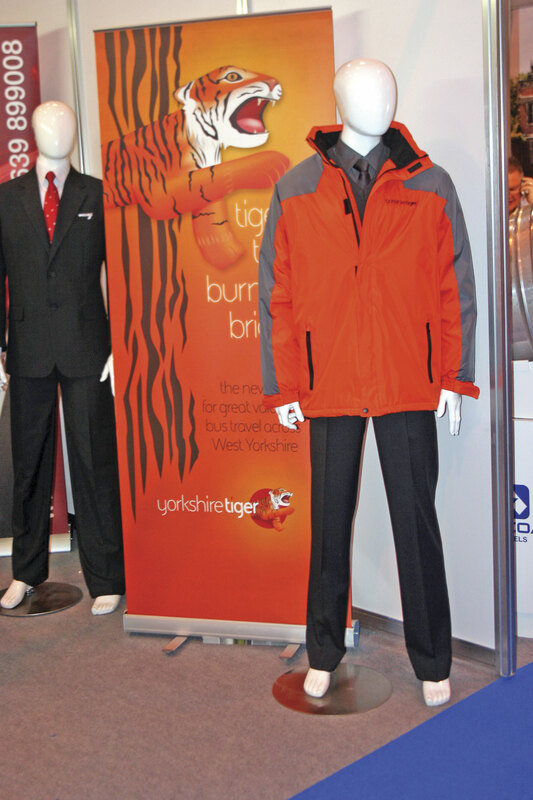 Trademark Clothing has attracted Lucketts Travel, who use the company for all of their workwear needs. The garment supplier can provide a wide variety of off-the-peg garments (polo shirts, safety shoes and fleeces to name a few), which can be customised with logos and other graphics. 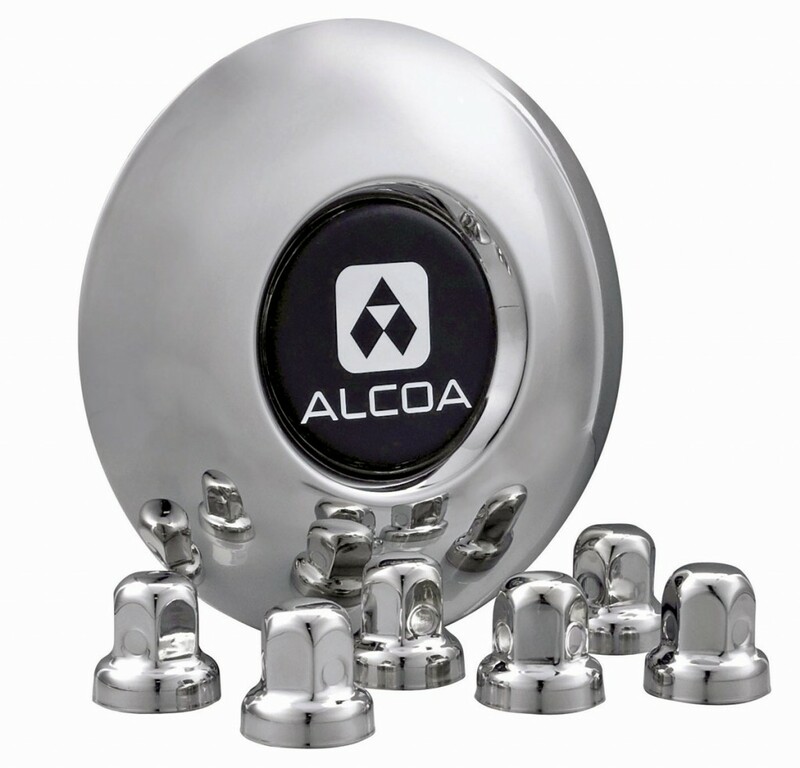 Something that sets Trademark apart is its provision of promotional gifts, including pens and bottle openers amongst a plethora of other objects featuring company insignia, to promote its customers’ services. Lucketts has taken advantage of this service too. 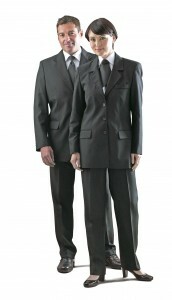 With extensive experience in the passenger transport industry, First Corporate Clothing designs and makes its range of clothes in Great Britain. The company works through the entire process of developing a uniform, taking customers’ ideas and developing them into the finished product. Ensuring the supplied clothes fit well is important in making sure staff look their best, which is something the company aims to achieve. 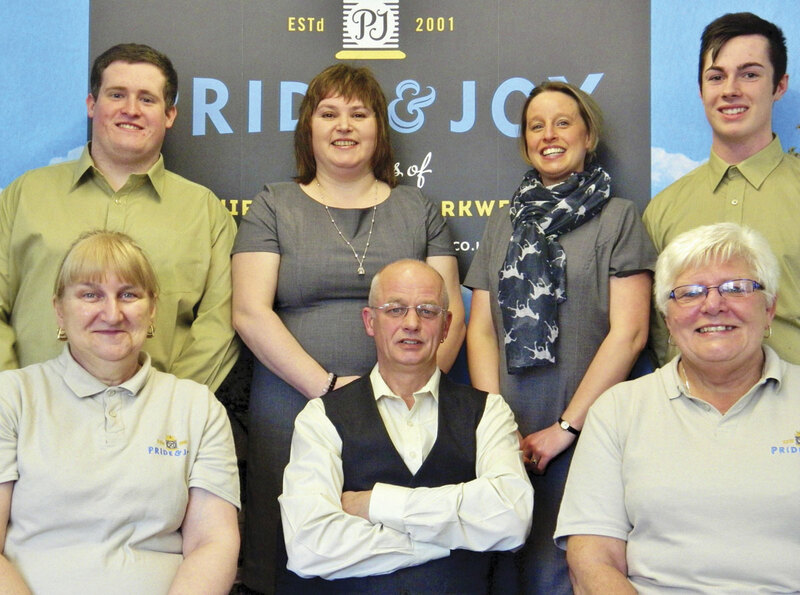 It offers all its customers a full fitting service, with its team measuring every member of staff. When the clothes are ready to be delivered, the same team will attend on site to issue the uniform packs. The company has expertise in digitising and transforming branding and logos to print, embroidery, tabbing and heat applied badges. Most of the passenger’s experience of the service will be spent onboard the coach or bus, so it is also important to ensure it is pleasant for them. One way to do this for older vehicles is to refurbish them if they start to look a bit tired. Hants & Dorset Trim can do just this, having at its disposal one of the industry’s largest refurbishment workshops. It can take care of seat re-upholstery, walling, flooring and all other aspects of interior refurbishment. The company can provide a ‘good as new’ full refurbishment if required. This is in addition to its bodywork repairs and modifications, as well as its refurbishment parts supply. Duoflex is another renowned name when it comes to coach refurbishment. The team there can work with operators to ensure they trim a vehicle exactly to specification. To ensure it meets customer demand, it stocks an assortment of moquettes and refurbishment materials for a variety of projects, allowing them to completely colour coordinate the entire vehicle. It can offer a same day service on some jobs, with the vehicle coming in early in the morning and ready to leave the same day. 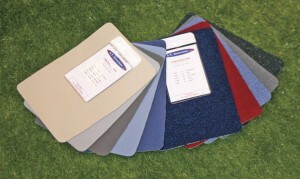 Floor Tek N Trim is another company that can take care of a coach or bus’s interior refurbishment. It can carry out any kind of flooring, walling or seating project. An advantage of using the business is its close proximity to Express Coach Repairs, enabling a vehicle to undergo an entire bodywork conversion at the same time as having its interior revamped. There is a trend for operators introducing premium services at the moment and one of the features that set these apart is better seating. These seats are often trimmed in E-Leather, which is made from fibres left over from leather off-cuts recombined into a new material that is available on rolls in a variety of colours and finishes. It has been rolled out on Arriva’s Sapphire branded services. It is not just buses though, coach operators are now starting to specify the material too. A company with experience trimming in E-Leather is Bus and Coach World of Blackburn, which refurbished vehicles for Arriva’s Sapphire and Max branded routes. Real leather is still being specified though and one supplier for bus and coach seat applications is Andrew Muirhead. The company provides the Venturer, a low carbon leather developed for high volume traffic. Manufacturer by Muirhead’s in-house team, it is designed to accommodate usage patterns as it has enhanced physical properties. New lacquer systems have been engineered to meet the greater abrasion, flex and colour fastness, rubbing in wet and dry and increased perspiration demands found in the sector. For those looking to refresh their own vehicles, Camira provides a range of moquettes for trimming seats. As well as its standard range, it can also provide customer specific designs. Another moquette supplier is Sigma Fabrics Ltd, which specialises in supplying this material to the UK’s bus and coach industry. 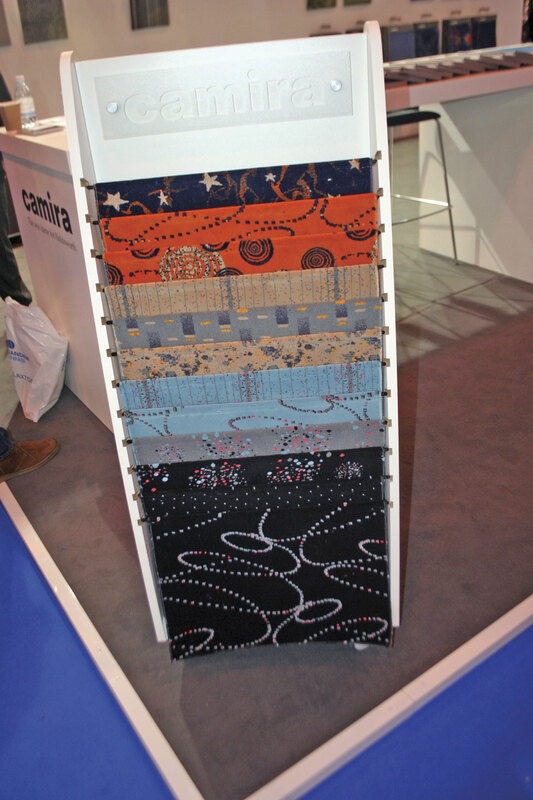 It is the sole UK stockist and distributor for Epengle fabrics and has a selection of designs and colours available for next day delivery. Its products are offered in various pile compositions, including 30/70 wool blend and 100% polyester that are developed specifically for the mass passenger transport sector. For coach carpeting, AK Carpets can take care of all needs, including flooring, matting and sidelining, as well as an array of accessories. Value for money and prompt supply are all aimed for by the company. AT Industries supplies textiles, fabrics and floor covering finishes for every aspect of vehicle interiors in the bus and coach industry. A wide range of flooring is also available from Altro Transflor, whose products are designed to be light in weight and easy to install and maintain. For seats, one provider is Abacus Tubular Products, which produces a full range of products for all PCVs. Built in its facility in Cambridgeshire, the seats are designed to promote a natural and correct sitting posture. It also has a team of upholstery technicians, who can hand finish all seats. Every facet of maintaining a good image explored here, from washing and paintwork to livery and uniforms, could warrant an article of its own. Ensuring your fleet and operation gives off a good impression is a huge topic as is its importance in attracting and keeping customers coming back.